RUSH: By the way, a new book recommendation if you’re looking for something great to read. It’s spy thriller novel stuff. 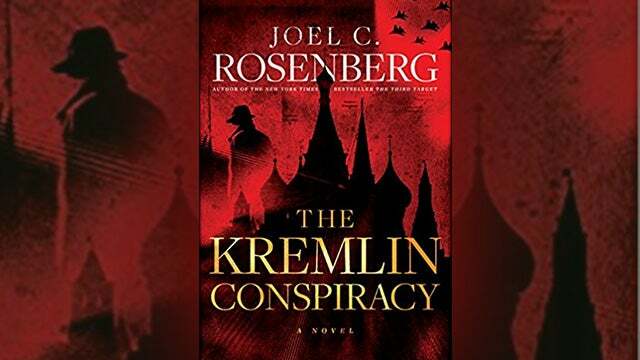 It’s Joel Rosenberg and The Kremlin Conspiracy, and it’s about real-world events, real live people. Vladimir Putin is a major figure in this novel, and the way to think about Putin is as Michael Corleone in The Godfather. Not rash, not hotheaded, not a street thug. He’s a cold-blooded, calculated killer. It’s a superb novel. It’s an edge-of-the-chair, arms-tensed-up as you read this thing. It just came out, and it’s awesome. It’s called The Kremlin Conspiracy. Joel Rosenberg is our old buddy here.